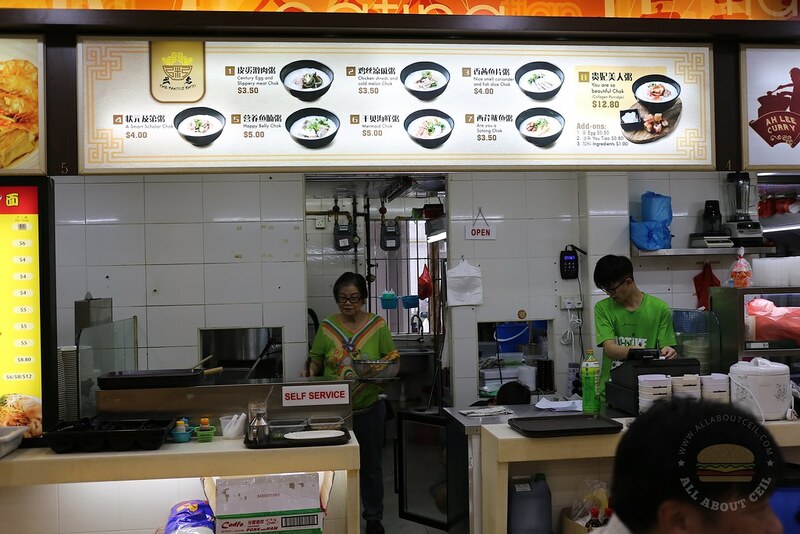 This porridge stall is set up by Chew Chor Meng (周初明) and Dennis Chew (周崇庆), this is their new venture after setting up 3 outlets of 888 Mookata at Hougang, Bishan and Bukit Batok, serving Thai-style barbecue steamboat in the coffee shop. This stall is named "The Famous Zhou" and the "Zhou" here is 周, their surname, it also means 粥 in Chinese. It is 粥出名 in Chinese, sounded like 周初明 and it also means the famous porridge. 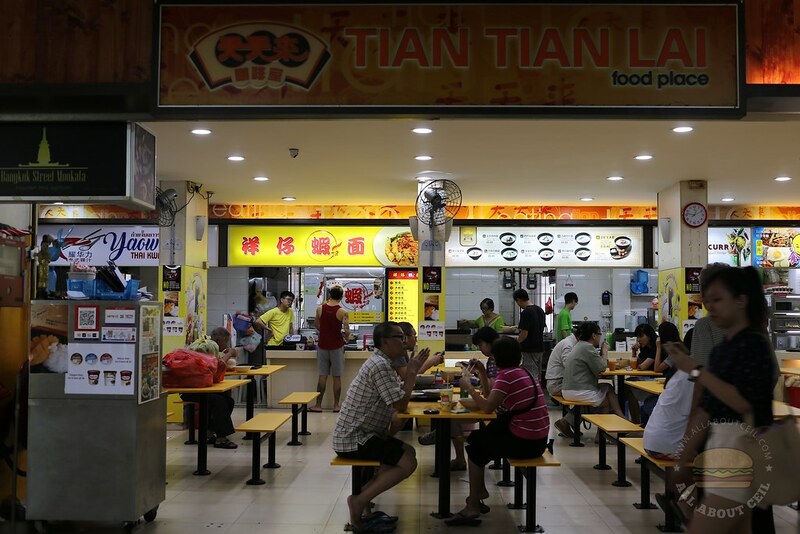 The Taiwanese chef Huang Ching Biao is behind the recipes of their porridges. It is their friend, an ex-engineer that is doing the cooking together with a Malaysian cook at the stall. 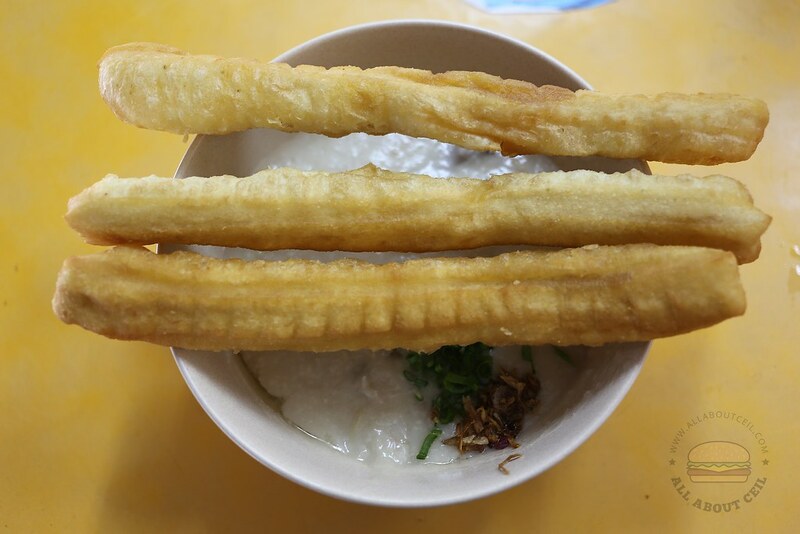 There are 8 different types of porridge on their menu starting from $3.50 to $12.80, adding an egg is $0.50 and $0.80 cents for extra you tiao (fried dough fritters). I was there at about 12.30 pm on a Sunday and I did not see a queue at that time. Chew Chor Meng was there though, sitting at a table near the stall. I wanted the Happy Belly Chok, a fish porridge at $5 but was told they run out of fish. 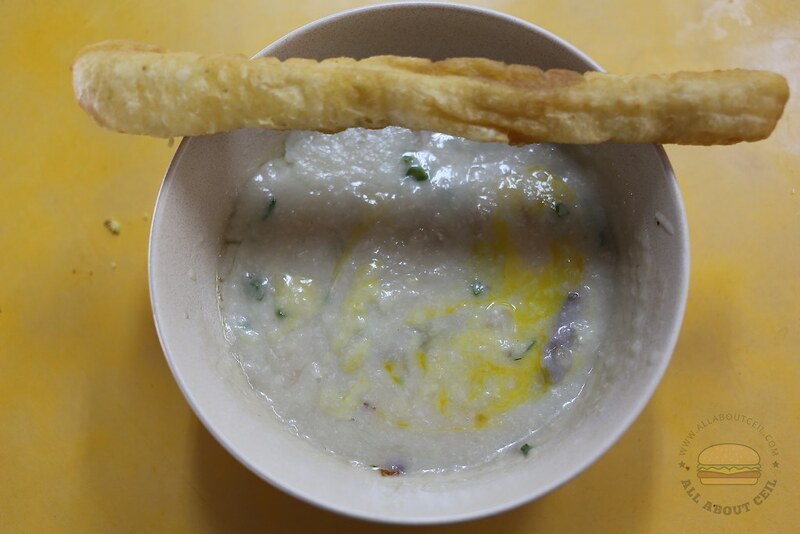 I decided to go with A Smart Scholar Chok at $4, a mixed pork porridge, added an egg and you tiao. I was given a buzzer after paying, it buzzed in about 8 minutes. When I stood up and walking towards the stall, the friendly auntie was holding the bowl of porridge and looking around for me. I handed the buzzer to her when she passed that bowl of porridge to me. The light of their signboard went off at this time, indicating they have already sold out. I must be really lucky to order the last few bowls of the porridge. 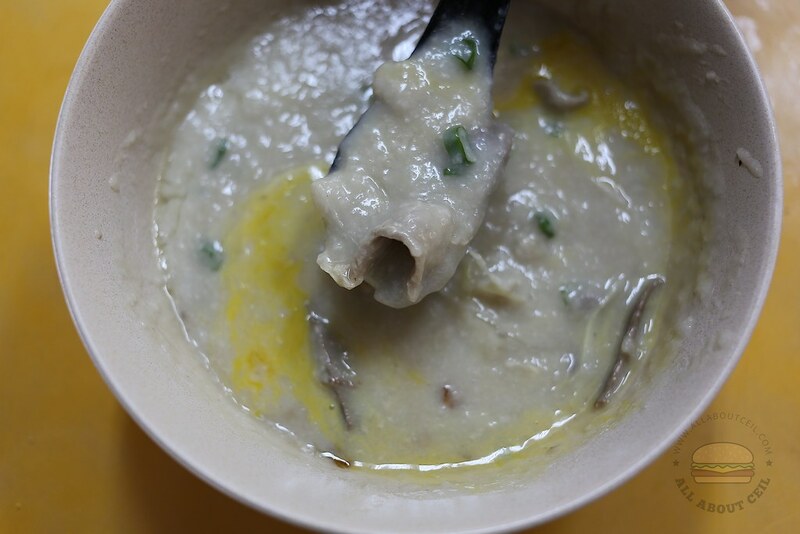 The texture of this Cantonese style porridge was rather smooth but a little too runny. It consists of pork slices and liver but there is no intestine in it. Those slices of liver were a bit too thin and it ended up overcooked thus a little tough. And, some you tiao was crispy and the other was soggy. They will need more time to work at improving its standard.